This week our challenge is ANGEL/ANGELIC. Show us your angels or earthlings with angelic faces. The most important thing is to have fun. My entries are on my blog too. I love the beautiful sample! 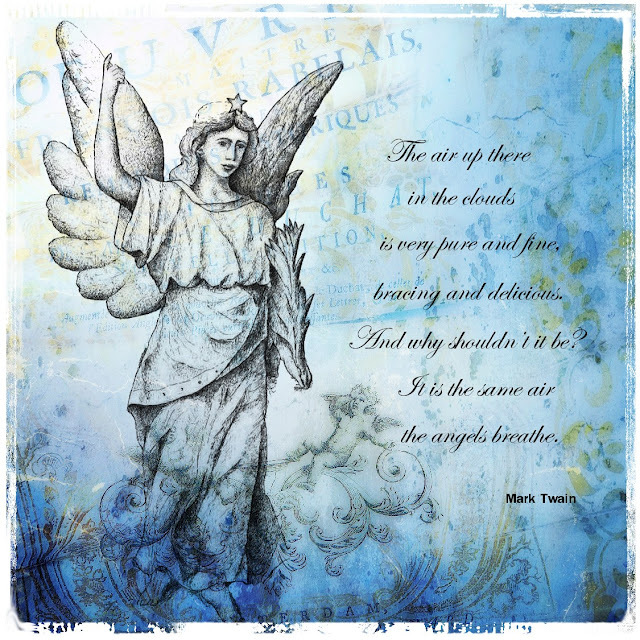 Here's my angel piece, on my blog. Lovely and beautiful sample Marie. My challenge: through the eyes of angels is on my blog. Hey ladies long time no see! Thanks for hosting another amazing challenge! Here you con see my angel. Love that challange. Love the challenge, thank you! I love this fresh air, Marie. Her is my angel. Thanks for looking. They don't get much more angelic than this. Happy First Day of Spring everyone! Lovely sample and quote, Marie! Sorry Sandy, I couldn't leave a comment but I think your fabric ATC are amazing--also love your angel. Here is my pretty paper angel!